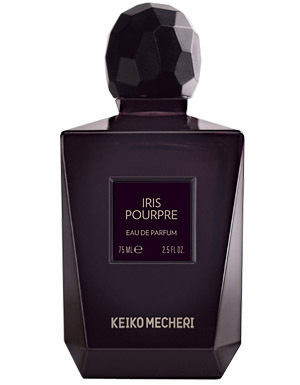 Notes for Iris Pourpre: white iris, orris, ylang ylang and chypre accord. Honestly, if I had to guess the notes in this, I would never come up with iris because it is not the typical iris I learned to smell. And I always thought ylang ylang smelled more subdued and creamy. This is a loud floral on my arm but such a great one that I don’t mind the fact that this will need to be applied sparingly in order not to suffocate people around. 🙂 Who cares for them though if I can smell this all day long?! I’m definitely getting myself a bottle of this. Soon! It will be my spring gift to myself (that’s just about enough time to recuperate from Christmas spending). In the mean time, I’ll check my samples for some iris and ylang ylang thingies to widen my knowledge of those two notes and understand what happened with Iris Pourpre. And a short side note, I tried November by CB I hate perfume. Very interesting. I got the forest, damp mushroomy feel and then the whole sweet foody note evoking childhood (don’t know what pumpkin pie smells like and that is one of the notes) so I’m guessing that is the smell of pumpkin pie with the barest apple hints. It really is a happy scent. You can read more on notes and the story behind it here. I'll be your resident expert in all things American: pumpkin pie is baked squash (another New World vegetable– do you have those in Sweden? If not, think yam or sweet potato? Come to think of it, ALL of those are New World…) + cinnamon + nutmeg + clove + mace/allspice. If you want to get fancy, some pumpkin pie scents add butter or creamy notes. It's a rich, earthy, spicy sweet smell.I've never smelled "November"– that's when we have Thanksgiving, and eat pumpkin pie. I bet it does make for a happy perfume!! Rita, my resident expert (that comes in handy), I've heard you can actually buy the squash needed for pumpkin pie here (in Croatia) 😉 – but haven't actually seen it.After reading all these ingredients, this pie must smell delicious (and probably tastes so as well). Do you make it sometimes? I make it all the time Ines. It's a traditional fall favorite, but I keep canned pumpkin in my house year round because it's a comforting smell — you can buy scented candles that imitate it, too.I make mine just as above but with a twist. I put cream cheese in mine, which makes it sort of like a pumpkin cheesecake.I've tried CB November. I can attest to it smelling, at one point at least, like pumpkin pie after a while, and I love it! Tom, that is very true.And when that language speaks to one's soul, what better way to be happy?